I feel like skin care is having a bit of a renaissance at the moment. Not only have there been great advances and we're able to find a diverse selection of products more easily, but also ecause of the internet, the indie community is growing when it comes to a lot of beauty products and we're seeing a lot of indie skin care brands with all natural products popping up. I feel like this really gives diversity to the market and has the potential to bring interesting new products to the table. 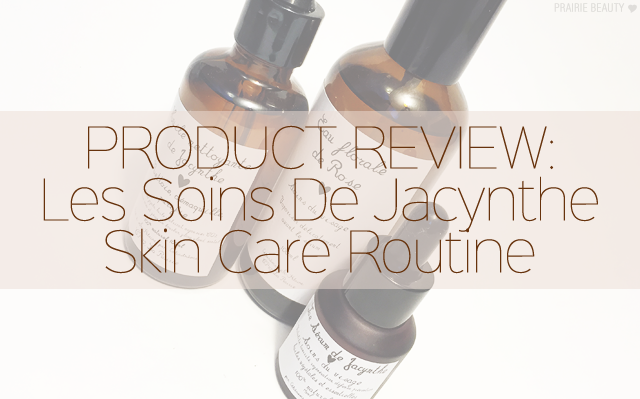 I love supporting indie brands, I love supporting women, and I love supporting Canadian companies, so I was more than happy to get my hands on three products from Les Soins De Jacynthe to try out. 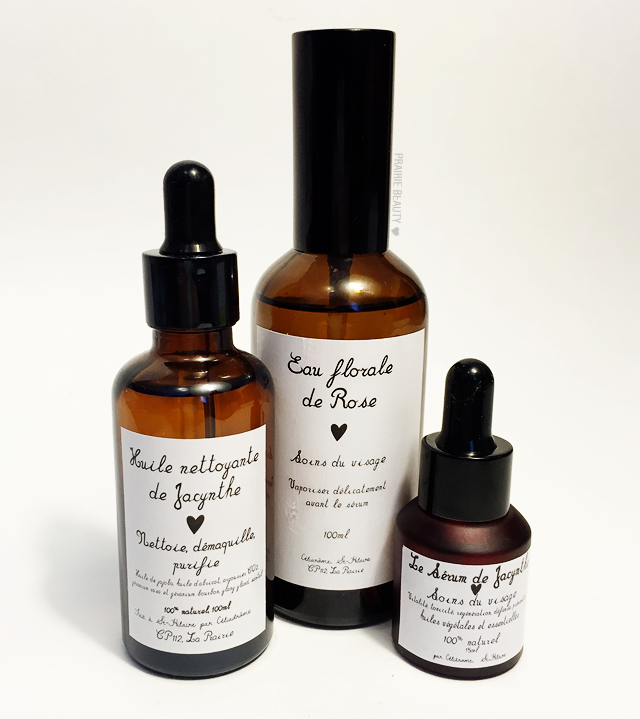 This line was founded by Jacynthe René, a Quebecois actress who is passionate about wellness, and uses natural ingredients that are intended to really nourish and care for the skin. I find that when it comes to natural skin care, what you end up finding is a lot of oils and mists, and I absolutely love that because I feel like those have the potential to be very nourishing and gentle on the skin. Keep reading for more about these products! Cleansing and purifying oil composed of jojoba and apricot oils, sea buckthorn CO2, bourbon, geranium rosa, ylang ylang and sandalwood oils. It cleans and removes makeup gently and thoroughly without irritating the skin. This mixture also regulates sebum. Recommended for acne-prone skin because it is active without irritating the skin (irritation causes more sebum). This is definitely different from any of the other cleansing oils that I've used in the past. It's quite thick, which I wasn't sure I was going to like initially but found that I actually quite enjoy. It doesn't really emulsify to that milky consistency when you add water, which is great for me because I do everything I can to avoid that milky consistency. The way that I use this is that I use about one whole dropper full and spread it over my face, first working over my skin and then moving in to my eyes and eyebrows where I find the product is the hardest to get off. I smooth this in gentle circles until I feel like it's broken up all of my makeup and then I press a washcloth dampened with hot water over my entire face and leave it there until the cloth cools before wiping away the product. I generally repeat this at least once, sometimes twice, and I feel like that gets all of the product off and makes my skin feel really good. Generally, I follow this with a second cleanse, though I have also just used this and then moved onto the next step of my skincare and my skin feels great. I wasn't sure the first time I used this how I was going to like it, but after using it consistently for a couple of weeks I'm really impressed with how my skin is reacting. After using this, my skin feels simultaneously clean and hydrated and I haven't experienced any irritation or clogged pores after consistent use. So, I've never been subtle about the fact that I don't like things that are rose scented, which is why I've never actually used rose water before, but I discovered something fantastic after using this product. It's not the smell of roses that I don't like, the smell of roses is lovely, it's rose fragrance that I don't like. 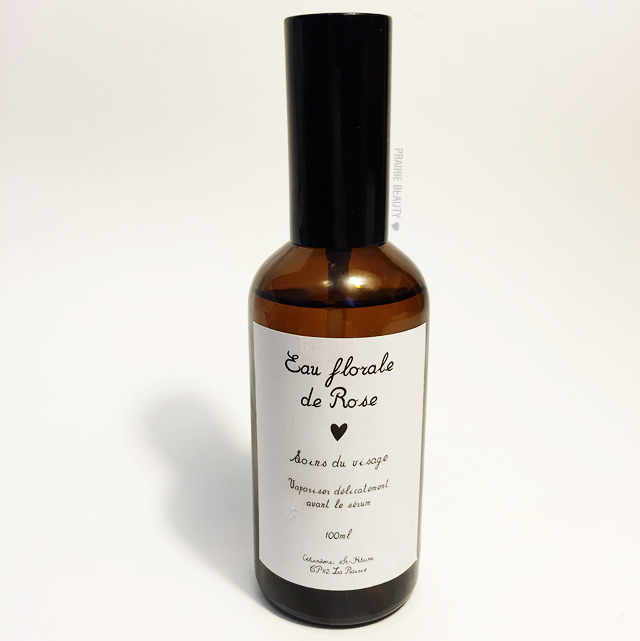 This rose water smells like rose petals, soft and lovely and not at all overpowering, and I absolutely love it. I use this right before serum to help everything really soak into my skin, but it's also really lovely to just freshen up my skin throughout the day and keep it hydrated. I love this stuff, I really do, and I suspect it's going to stay in my collection for a long time. Who knew? I don't actually hate the smell of rose! This is a revelation! Powerful all natural serum that brings together the finest ingredients for the skin (evening primrose oil, borage, buckthorn & Rosehip CO2 extracts, sandalwood, rose, natural vitamin E and rosemary oleoresin). Brings softness, tone, regeneration, elasticity, and vitality to your skin. Honestly, I saved the true star for last, because this is a real treat of a serum, as far as I'm concerned. One thing I want to note first off is that this does have a fairly lingering natural-smelling fragrance to it, and it does linger, which makes this product a little easier to use at night. However, I've found that I absolutely love this as a daytime serum because it really keeps my skin looking hydrated and fresh and makeup applies really beautifully over top of it. I like to use about 2 drops of this (that's all it takes!) and smooth it over my skin, lighting massaging it in. I'm not sure if that's how you're supposed to apply it, but it feels so lovely that I can't seem to help myself. When I use it at night, I wake up with really even, hydrated looking skin. Honestly, this is one of my favorite serums I've ever tried. I really didn't know what to expect with this skincare, but I'm so impressed with each of the products that I've tried and I really feel like my skin is absolutely loving them as well. This, along with a couple of other minor changes to my skin care routine, really has my skin looking fresh, clear and hydrated - and that is pretty much never a thing that I can say in the winter. I would recommend all of these products for a wide range of different skin types and issues and I think that a wide variety of people could really benefit from these products. 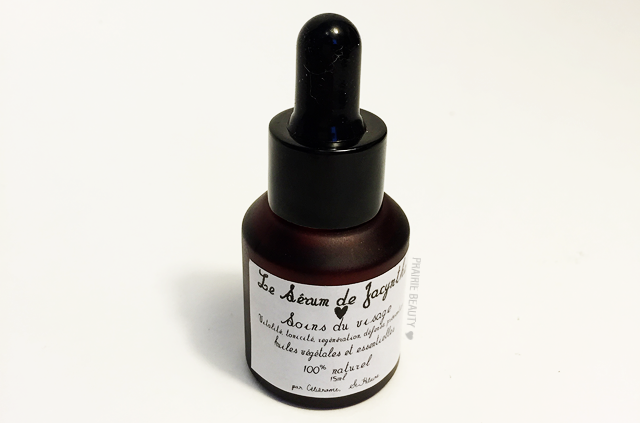 Les Soins De Jacynthe products are available at jmagazine.ca!